When you fall pregnant everyone has an opinion on which products are best for baby. But what about you? Parenting is tough work, and seriously, you need a bevy of products that are going to make your life easier as well. Luckily, there are some beautiful, clever products that are ideal for both you and baby. Here are our top seven. This should really be called the nappy/bottle/food/bib/toy/wipes bag, because that’s how much you end up carrying in it. Look for heaps of pockets, lots of space for bulky items, and a washable finish – details that will make your life infinitely easier, especially when a bottle inevitably leaks. Since this thing will be permanently attached to you, make sure you like the look and feel of it so it can serve double duty as a handbag. That’s a big ask for a pram, but the Strawberry 2 Pushchair from iCandy delivers on both of those things. You can fold the whole pram up with one hand, and the seat even folds in with it. 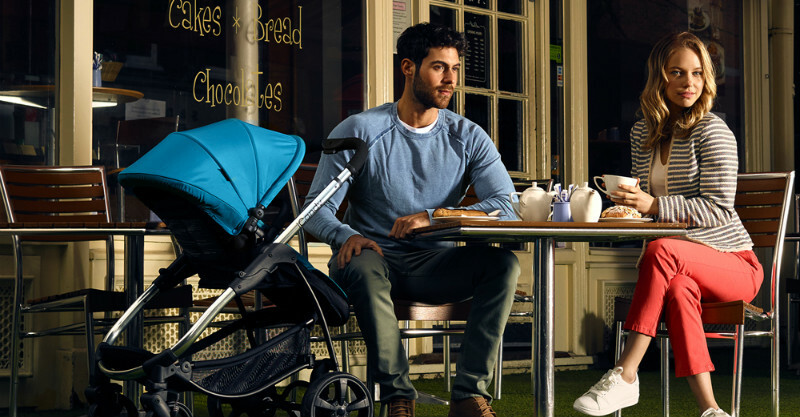 As well as that, the Strawberry 2 has a sleek design and some impressive Seat Memory Technology, which basically returns the seat to its original position when you unfold the pram. Genius! It’s those kinds of details that make life so much easier when you’re out and about with your baby. Whether it’s a wrap, a front-carrier or a back pack, some kind of hands-free carrying system is essential because a) babies love love love being close, and b) sometimes you just need to be able to pop baby in and get things done. Some mums use them only in the early days, other mothers use them right into the toddler years. Either way, they’re a terrific investment in your own sanity. We’re not talking about the big, stately high chairs you see embedded in parents’ kitchens. They’re great – but you can’t take them with you or move them around very easily. Enter the fabulous little booster seat, which simplifies meal-times at restaurants and friends’ houses. There are lots of models out there, just look for something that safely secures to an adult-size chair or can attach directly to a table. Bouncer, lounger, floor seat – whatever you call it, it’s essentially a fun, safe spot to plonk baby while you make dinner or answer a phone call. They provide good seated support and are ideal for that stage between two and six months, when your baby might not be sitting yet and still doesn’t have a lot of head control. They’re light, portable, and hands-down one of the best additions to your post-baby living room. Such a small thing, but honestly, this flexible little piece of silicone will save you hours in washing. The curved ‘tray’ at the bottom pretty much catches all the stuff that misses your baby’s mouth, and you can just rinse it clean. So much easier than washing multiple cloth bibs. Yes, they are as fabulous as they sound, especially when your baby has started to roll around and you can’t seem to keep them warm enough at night. Check for an age-appropriate size, so your baby fits safely and snugly inside the sack. You can even get some that include swaddling wraps if your baby likes to be swaddled. These things are such life-savers, and if they buy you one or two more hours of precious sleep they are worth the investment. What do you think? Anything else to add to the list?